Your Ultimate Solution for eliminating leaks! Evolving higher pressure and more demanding hydraulic systems expose the metal to metal flare fitting which makes it very difficult to obtain a permanent leak free flared fitting joint. Flared Fitting Leaks are most commonly caused by misalignment, surface damage and vibration in the field. The entire seal is coated with a dry-to-the-touch, baked-on Loctite™ sealant. When inserted into a fitting, the concentric rings form multiple seals down the face of the flare, while the Loctite coating fills minor imperfections, dramatically increasing the integrity of the fitting. New ISO and NFPA standards strongly recommend seals for all fittings. The sealing rings prevent environmental debris and aggressive cleaning solvents from attacking the sealing face while the Loctite™ protects the face from fretting, galling and over-tightening. And unlike ORFS fittings, the Flaretite Seal will not fail during a fire, allowing atomized hydraulic oil to fuel the fire. Fit on all standard 37 °JIC/45° SAE flare fittings, hydraulic, pneumatic, fuel & all common refrigerants. Helps protect against weeping on new and damaged fittings! Creates a perfect "Leak-Free" clip-on seal! Independently tested by Eaton’s Aeroquip hose & fittings division to one million high pressure square wave pulse cycles on badly scored JIC flared fitting faces without failure, this design, which easily installs by simply clipping over the male flare section, makes Flaretite Seals the single best choice “compliant seal” flared type fitting permanent leak free fix. 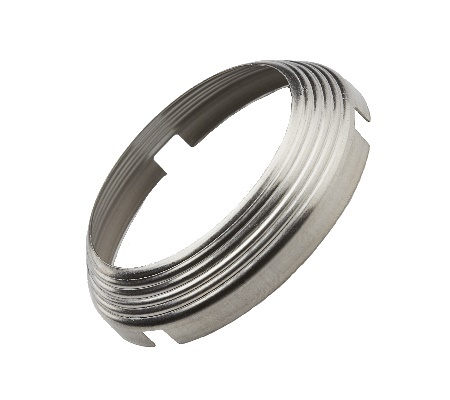 Having proven performance with some of the Worlds most difficult to seal flared fitting applications, Flaretite seals are available for use in Standard 37° JIC flared type hydraulic fittings, 37° JIC 316 stainless Marine fittings & work extremley well on 45° SAE brass fittings for refrigeration. Flaretite’s headquarters is located in Brighton, Michigan where they have been producing seals for over 15 years. Flaretite seals are available for purchase via our website or through distributors such as Eaton-Aeroquip, Motion Industries, Johnstone Supply & Asada Corperation just to name a few. The Flaretite Seal is a permanent, "Leak-Free" connection, which exceeds the performance of today's ORFS fittings, and at significantly lower cost. Our seal maintains the low profile, versatility, and world-wide availability of flared fittings. Flared connections fitted with Flaretite Seals are today's answer to low cost, high integrity, "Zero-Leak" fittings, while complying with new international standards. This unique seal may be fitted to JIC & SAE, hydraulic, pneumatic and gas fittings. The introduction of the Flaretite Seal eliminates the weakness in the original flare design. Flaretite's approach to the global market is to target sales to national distributors and OEM's worldwide. Sales offices are based in the USA. 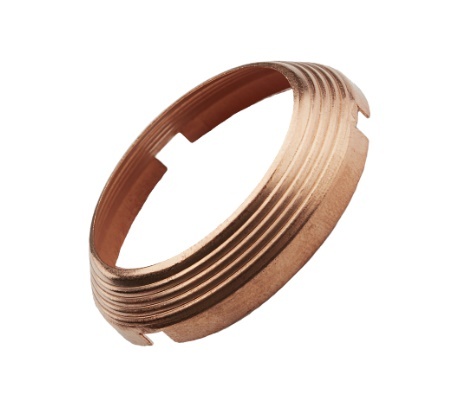 Copper seal with standard Loctite Vibra seal coating for common aluminum and brass fittings. Copper seal without a coating for all fittings. Available in JIC (US Standard), 37 degree flare (special order only), for inch tubing sizes. 316 Stainless steel seal with Loctite high temp graphite coating for Nickel plated and 316 SS fittings. Rated for -40 to 1200 F temperature and all common gases, fluids & steam. 316 Stainless steel seal with Loctite Vibra Seal coating for Nickel plated and 316 SS fittings. SAE (US Standard), 45 degree flare, for inch tubing sizes. 304 Stainless steel seal without a coating for standard carbon steel fittings. Rated for all temperatures, all common gases, and fluids.